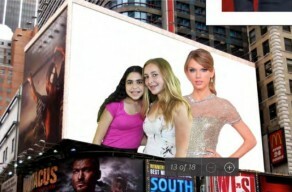 Get up close and personal with celebrities on the red carpet or NYC billboards! 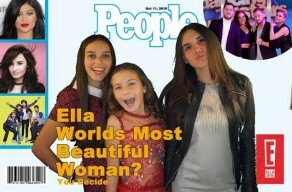 With over 100 celebs to choose from, you can even add your own favorites! 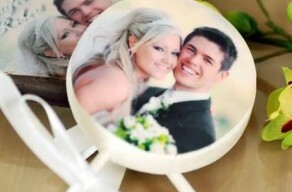 Digital Photography provides you and your guests vibrant prints placed in a personalized item of your choice. 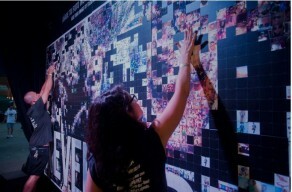 These photos are truly life-like and vivid, utilizing the latest digital technology cameras and Printers. 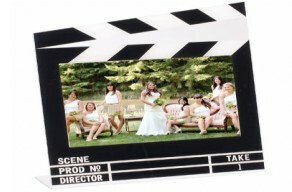 Trending now where guests can lip sync different sounds and quips to create short and hysterical videos. Take a photo from anywhere at the event, post it to Instagram or Twitter, add the event's hashtag & pick up your branded print! 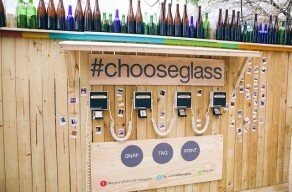 As guests snap and tag their experiences throughout your event, our team hand-places their photos onto a grid to form a stunning brand image. The end result? 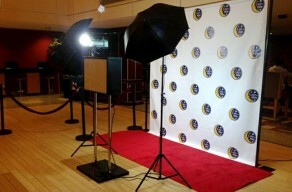 A posteresque documentation of everything that happened at your event to keep! Made famous by Picasso, guests use different sources of light to draw images and words which become part of the photograph. Prints out 17" x 11" jumbo strips or portraits! 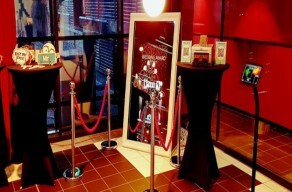 Step up to actual mirror which doubles as a photo booth! Strike the perfect pose and 4 pictures will be printed. Custom commands and sayings can be programmed. Hysterical and trending! 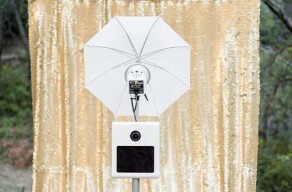 This video captures your image in slow motion. With the use of props, when you see the replay, it brings a guaranteed laugh and smile. 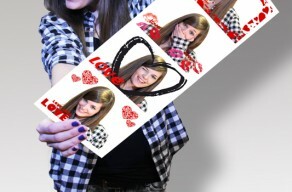 Receive a still picture and have your video emailed or put on a USB bracelet. 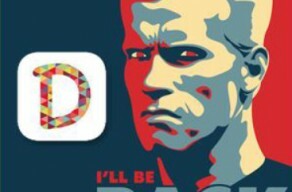 The latest social phenomenon rocks your event. 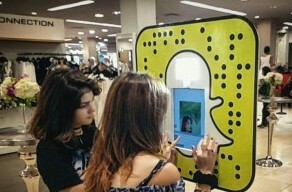 Tell your story, add crazy special effects using facial recondition, make a custom geotag, this booth bocks! 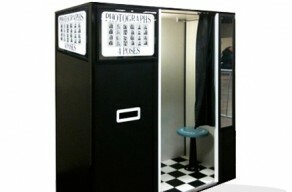 The photo booth allows you to email, text, upload to Facebook, Twitter and Instagram as well as print for guests to take home. Includes logo and all photos provided at end of evening. 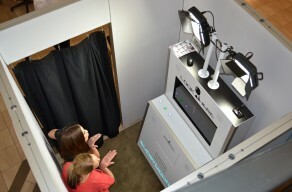 Our video confessional booth is uniquely of a kind! Your guests will have the chance to say all the wonderful things they love abut you. Our professionals can even upload the videos right to the web and you can share them right away on social media! 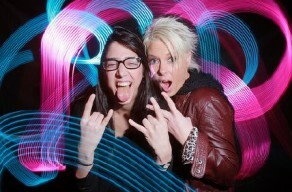 Strike a pose in the light tunnel photo booth. Receive a photo print and video (emailed). Music rocks while you pose and records during your session. Packages include up to 100 pieces Choose from lollipops, CD's, & more. pre-printed orders available as well. 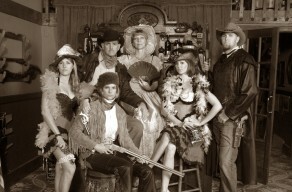 Dress up in costumes from the late 1800's and receive authentic looking tint (sepia) photos, complete with matte frames.